One of the most common grievances about lawyers today involves the attorney-client relationship and communication. In fact, very few clients can access their attorney for advice and get a response directly without paying high monthly fees for that privilege. The Law Offices of James L. Oliver III believes that every client deserves direct access to their attorney when they need it. This approach builds trust within the attorney-client relationship and allows for better case management which results in better outcomes. In addition to personal attention to the direct legal needs, we also understand the concerns beyond the courthouse that most of our clients have. Legal issues can often involve collateral damage which often proves to be detrimental to everyday life and peace of mind. Because legal matters can jeopardize your financial stability, career, driving privileges, and even ability to apply for school and loans, Attorney Oliver vows to protect not only his clients’ freedom and liberties, but their lives beyond the legal system. What is concierge legal services? Concierge legal services close the gap between you and your attorney. This style of service allows your attorney to be more accessible to you through direct communication to ensure your needs are always met. Your first appointment with Attorney James Oliver is at your convenience by meeting at a time and a location convenient to you, such as your home or office. Additionally, Attorney Oliver allows 24/7 access via email, text and telephone, so you can seek advice and obtain important information as your needs arise. Most importantly, your advice will come directly from the attorney, reducing the chance of costly delays, preventing miscommunication, and ensuring your concerns are always addressed. Why choose a concierge lawyer? Many law firms prevent access to their attorneys by having assistants and secretaries manage your case, without you ever speaking to your attorney directly. Our staff understands that every client matters, this is why your first visit after your free consultation will be in person with Attorney Oliver at your home, office, or other convenient location at a time that is convenient for you. As you deal with your legal issues, the Law Offices of James L Oliver III wants to provide representation that will help you sleep at night. This is done by giving all clients comprehensive case management and access to information throughout the entire process. 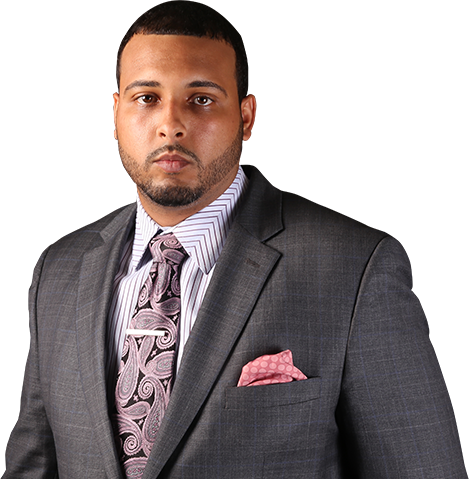 James L. Oliver III represents a new type of lawyer, an accessible and approachable lawyer, committed to individualized service to his clients. At the law offices of James L Oliver III, LLC we place great significance on each client by providing counsel specific to each legal circumstance. This judgment free process allows clients to feel secure throughout their search for a just outcome to their legal matter. In addition, our open door policy builds trust in the attorney-client relationship which brings about the best representation both in and out of the court room. Due to the multi-dimensional nature of our clients’ needs, Attorney Oliver faithfully protects your privacy while keeping you apprised of every aspect of your case. Preferring to over-advise our clients of their rights and options, Attorney Oliver maintains an open line of communication that successfully provides support every step of the way. Legal issues can become costly, stressful, and extremely inconvenient. Deciding to get a concierge lawyer to assist you through your legal trouble can dramatically reduce the stress and inconvenience, choosing the Law Offices of James L. Oliver III, LLC as your concierge lawyer will reduce the cost. If you believe that a concierge lawyer is what you need, we know who you need. Don’t hesitate any longer in finding relief from your legal problems, contact us now at (504) 258-7884.